Join us on Saturday, July 15, as 2017 Summer NAMM opens its doors to a wide range of music professionals for Music Industry Day. Attendees will be able to receive a one-day only pass to the show to demo the latest music products on the market, participate in relevant education sessions taught by industry leaders, and experience exciting events including live music on the NAMM Terrace, exhibitor booth demonstrations and music making circles. If you are a qualified buyer who is involved in the purchasing process of music and sound products, you may register for the full 3-day show. 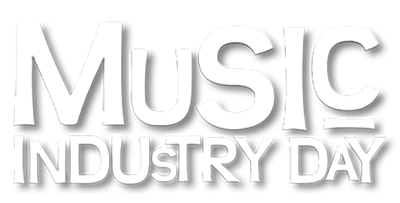 Who should attend Music Industry Day? What will my Music Industry Day pass include? Your Music Industry Day pass will provide you with access to 2017 Summer NAMM for one day only on Saturday July 15, including the expansive trade show floor filled with more than 1,600 brands and a front row seat to great live performances by some of Nashville’s best talent. You can also attend professional workshops, focusing on issues facing today’s recording and live sound music professionals, as well as a variety of performance-related sessions on topics such as songwriting techniques, getting discovered and promoting yourself as an artist. Music Industry Day sessions will cover topics such as social media strategies for your music career, songwriting tips from Nashville pros, how to increase your odds of getting cuts and much more! Where do I purchase/ pick up my pass? You may pick up your Summer NAMM Music Industry Day passes at Badge Will Call beginning at 9 am on Saturday, July 15. Passes are $10 in advance; $20 on the day of the event. All sales are final. "Bands at NAMM" provides live music all day. One of many product demos on the show floor. Attendees check out the latest music accessories. Charley Pride to perform at Music Industry Day. Attendees receive free industry education. Ukulele circle offers a hands-on lesson.